My tour today stands out as a highlight of this cruise from Athens to Dubrovnik. 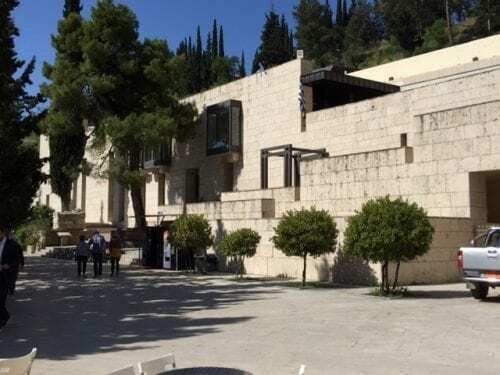 Our small group traveled by coach to the Archeological Museum of Delphi, one of the world’s most important museums, reflecting as it does, the essence of Hellenic culture. The museum is a modern structure and the exhibits are both accessible and easily understood, with descriptions in a number of languages. 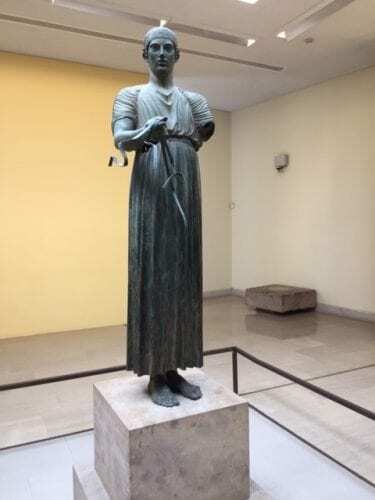 Among the many spectacular exhibits is The Charioteer, a bronze statue from the classic period that may be among the most famous statues in Greece. The detail, down to the folds of the fabric and the anatomical perfection, had visitors staring at and enthusiastically photographing its perfection. 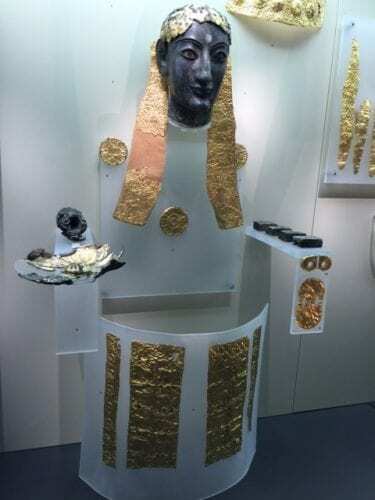 Also popular were the fragments of gold recovered from various statues, including those of Apollo and Athena. 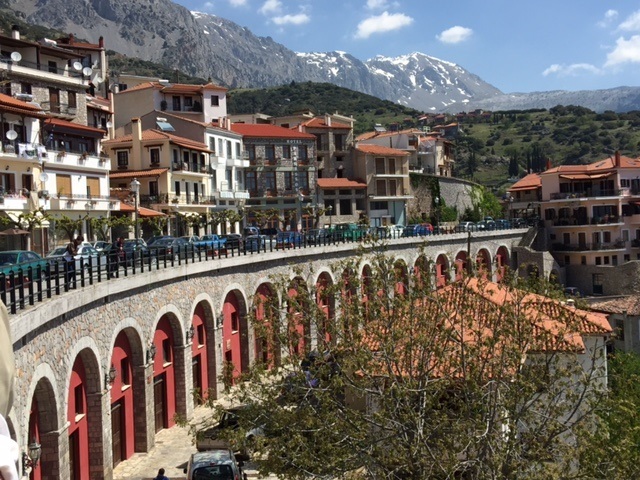 Not only is Arachova pretty to look it, the area has a history that dates back to 2000 BC, when Homer mentioned, in the Iliad, that two famous generals of the Trjojan war came from Anemoria and Kiparissos, which were situated around the present town. Back at the ship, there was time for an excellent facial in the single-room spa, where the menu offers a range of massages and facial treatments using the Elemis line of outstanding skin care products. So much is luxurious aboard the Esprit, a retrofitted private yacht, that it’s going to be very difficult to adjust to normal life at home when the cruise is over.